This Sunday once again we bring you a childrens fancy dress competition to help celebrate animals in Guernsey. The Animal Welfare Seafront Sunday starts officially at 10am with set up from 8am and at 1.45pm Island Mums will be helping run a fun childrens fancy dress competition near the Crown Pier. Islands Mums will also be helping with a number of activities at a kids corner including chalk drawing and more, not to mention the many other games and things to do on the day. So please do come down and support the day and spread the word to family and friends. This Sunday if you can help volunteer or have a vehicle you could help us transport goods we would love to hear from you. We are planning to pack a number of vans in preparation this Friday ready to drive down for our Animal Welfare Seafront Sunday at 7.30am. 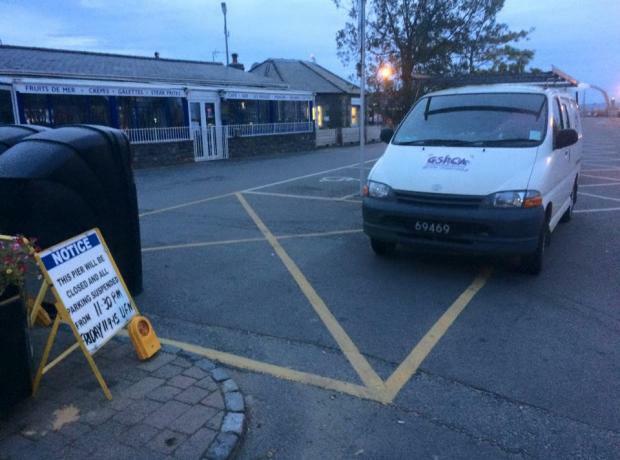 If you could lend a van, especially a luton or large transit we would really appreciate it. Every year it is a huge logistical challenge to transport the many tents, goods and animals from the GSPCA into St Peter Port. With only days to go how is your dogs preparations going for the fun dog show that takes place this weekend. On Sunday we hold the fifth Animal Welfare Seafront Sunday in Guernsey. With stalls, fire engine, animals, games, kids area, giant animal mascot 5-a-side football and more make sure you pop into town this Sunday for a fun family and pet day. 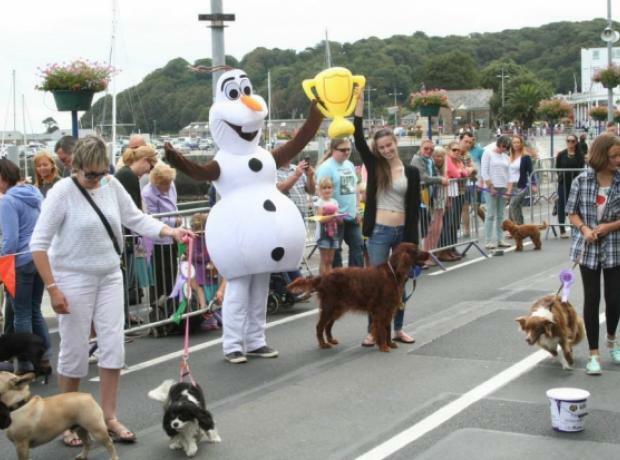 Every year we hold a fun dog show and this year registration opens at 11am along the Seafront near Crown Pier. It is that time of year that we are at many events and we are running low on cuddly toys which we use as prizes on some of our games to help raise funds for the Shelter. After a very busy summer fund raising at many events we are running low on cuddly toys which we use as prizes on some of our games to help raise funds for the Shelter. 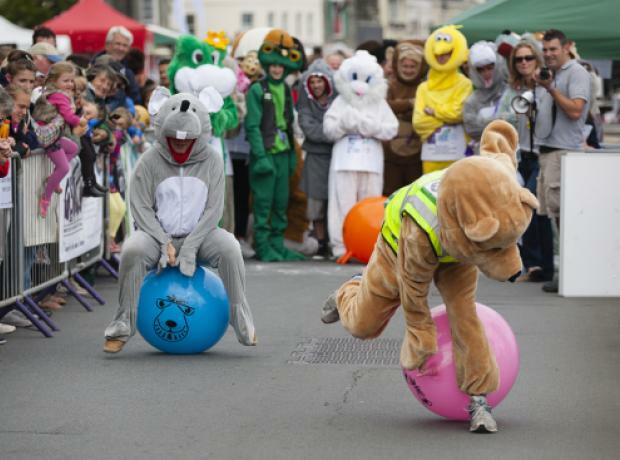 Only 10 days to go could you get a team for the Giant Animal Mascot It's a Knock Out Race for the GSPCA & Help a Guernsey Child? With only 10 days to go are you signed up? 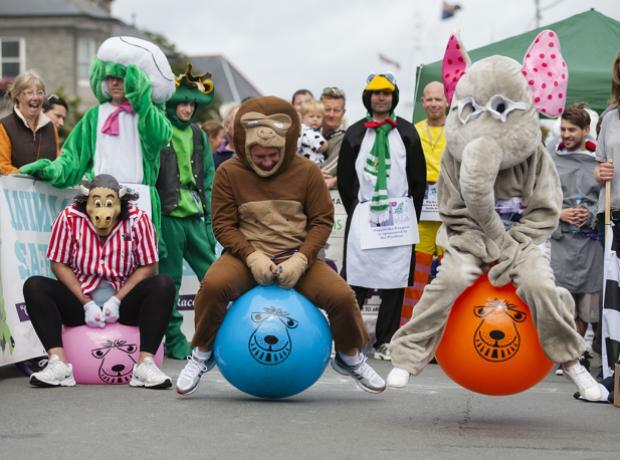 Once again we will be holding a Giant Animal Mascot Race during our Animal Welfare Seafront Sunday on the 14th September, but this year there are a few twists.